Is your single-stack ecommerce platform limiting your customer experience and your company’s ability to innovate? Compare the capabilities of traditional single-stack ecommerce solutions with headless commerce modern solutions. 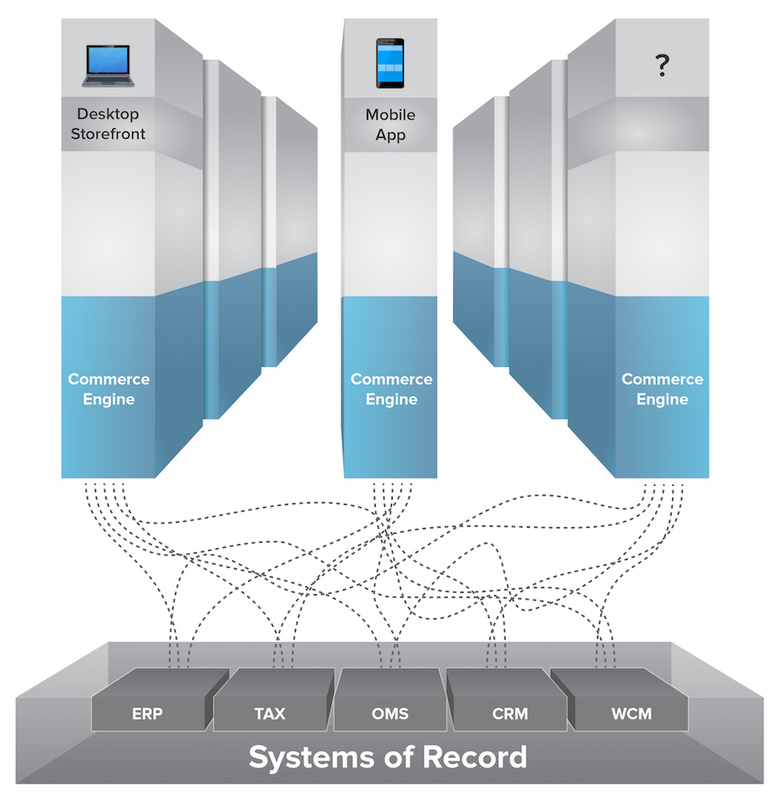 What is a single-stack ecommerce solution? Traditional ecommerce systems couple the front-end presentation layer with the commerce engine. This creates siloed solutions for mobile, web and other channels, resulting in communication challenges with each other. Adding new front-end experiences involves working with backend code, and often requires specialized developers skilled in the stack’s language. Ultimately this means there are many things a business can’t do, and many problems that take a long time to fix. This affects both the customer, and the business. Even the smallest modifications are rigorous and expensive with siloed systems, which ultimately limit innovative customer experiences. Inconsistent experience. If content, pricing, promotions and inventory are not perfectly synced in real-time across all channels, the customer has an inconsistent or unreliable experience. Disjointed experiences. 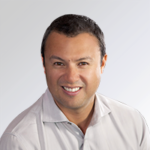 When systems and data are siloed, the enterprise can’t connect the customer journey across all experience touchpoints, or accurately measure the contribution of innovation to business performance. A customer on their mobile may not be able to access account information, browsing and wish list history, or complete a transaction within the experience, and will need to start their journey all over again in-store or through the web store. Risky changes. You can’t modify anything without redeploying the entire application. Not only does this slow you down, but a small coding error can break your system and consume all your IT resources to recover. Eroding stability. Even when customizations are possible with a full-stack solution, they typically cripple a business over time. The more you hack a stack, the easier it is to break functionality as the platform’s quality and stability erode. Altering code today can also make upgrades more difficult and costly down the road, locking a business into an aging and restrictive platform. Headless commerce solutions are decoupled, freeing the frontend from the backend, allowing the enterprise to power customer experience with best-of-breed content, experience management tools and any other customer facing technology. 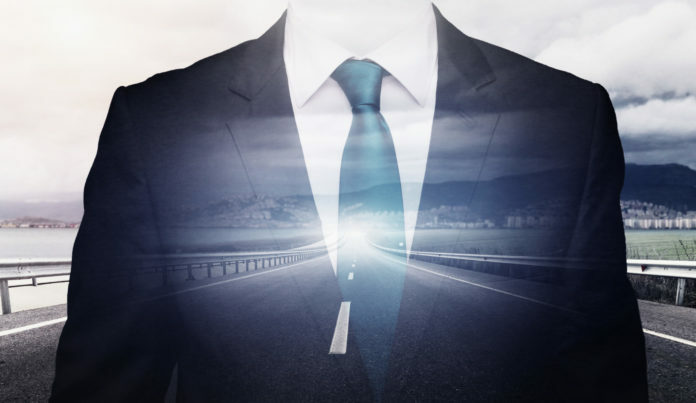 Headless commerce unlocks creativity and the ability to test new interface touchpoints. Consistent experience. 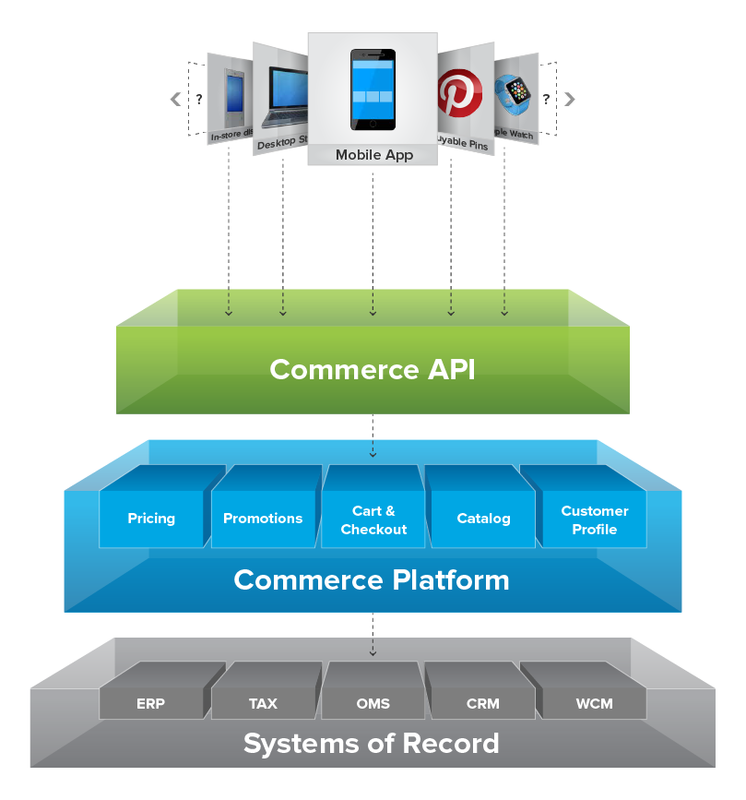 Built into headless commerce systems, an API layer orchestrates information from the commerce platform and other back-end systems and surfaces it consistently to any touchpoint. When a new frontend arrives, adding it has minimal effect on the underlying backend systems. Customers receive a consistent experience regardless of the channel, application, or device used to engage with your company. Contextual experiences. Headless commerce can be combined with headless web content management, which separates content storage from content delivery. This allows an enterprise to deliver contextual experiences that only pull the content types and formats required, and opens up commerce to the Internet of Things. For example, an interfaceless wearable needs minimal content delivered through push notification, while an augmented reality experience in a mobile app requires even richer content than the Web. Flexibility and creativity. Headless commerce unlocks marketing creativity, allowing companies to experiment with not only new touchpoints, but also new pricing and promotional strategies because they will be consistent across all touchpoints. 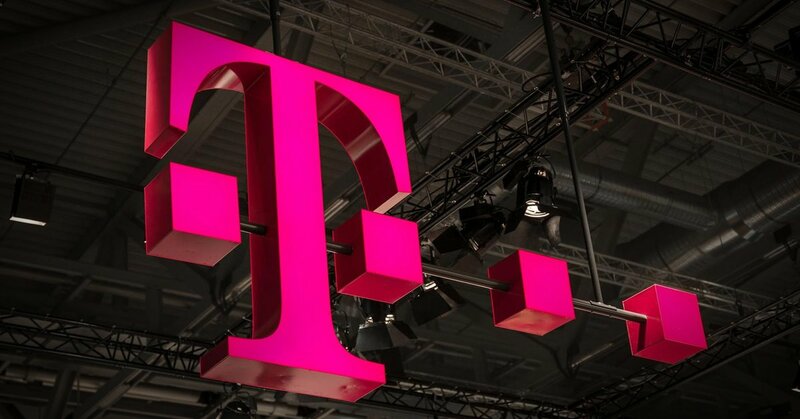 In his keynote at the Adobe Summit, Nick Drake, T-Mobile’s EVP, Marketing and Experience, said that to remain a front-runner and sustain its competitive advantage, T-Mobile embraced continuous innovation and customer-centricity. They separated the front-end from the back-end, and adopted flexible, headless commerce strategies and technologies. T-Mobile can take full advantage of today’s (and tomorrow’s) best-of-breed customer experience solutions with commerce services built natively into every touchpoint — from web, to mobile, to retail stores, to Google ad click-to-message, to social messaging applications, to wearable devices and maybe to future touchpoints such as connected cars, connected homes, augmented and virtual reality (AR / VR), etc. All carriers are racing to embrace emerging customer care channels beyond the typical email, telephone, chat and chatbots, and @conversations through Twitter. Smartphone users already love text and messenger apps, and T-Mobile ensures they’re accessible through a device’s native text app or Facebook Messenger. For customers looking for help through Google’s mobile search, T-Mobile uses Adwords’ click-to-SMS Messenger extension that immediately connects to a care agent in the nearest store, based on the searcher’s geolocation. Next articleIs Your Commerce System Vulnerable to Meltdown on Black Friday Cyber Monday?